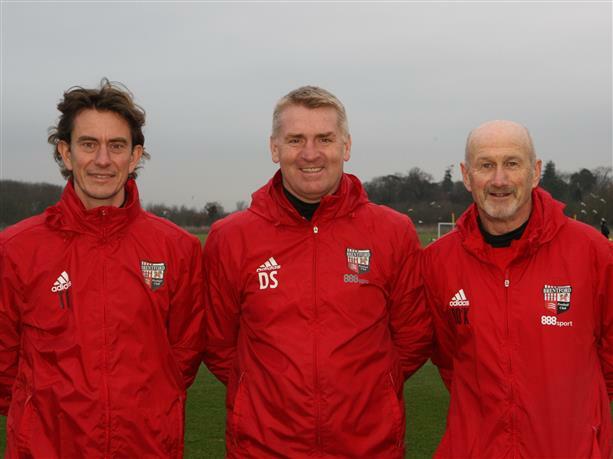 Brentford have announced the arrival of coach Thomas Franks to the club, the former Brondby manager has a wealth of experience back in his native Denmark, where he worked with various age groups of the national team youth set-up. He will become Dean Smith’s joint number two. The Beesotted lads discussed the rumours of Frank’s arrival on this week’s Pride of West London Podcast, after rumours in the Danish media that he was on the verge of joining Brentford. He seems a very experienced coach indeed, so will he be content long-term to play second fiddle at Griffin Park, or is his experience exactly what we need right now to pull the side out of its mid-season slump? Click the link below to hear this week’s edition. After losing to Norwich 5-0, there was a hell of a lot to discuss as the Beesotted crew met in The Madhatter Hotel in Stamford St near The South Bank just South of the River. Brentford fans at the Norwich match were clearly angry with the team’s display and lack of action then to rectify a team that was failing to pump on all cylinders – never mind one. They discussed the team’s display, why we were so impotent, whether we were lacking in experience and leadership, had Smith lost the dressing room or were the players just not playing for the shirt. Also, with the heated discussions in the dressing room after the match, did we have another ‘Stevenage moment’ – a replica of the moment when Brentford lost to bottom of the table Stevenage and had a 90 minute heated exchange in the dressing room – a moment in time that turned then manager Uwe Rosler’s season around from hanging on a thread to unbeaten run? Plus there was the £400k price tag put on John Egan – a bargain at half the price was the common consensus. With the prospect of Daniel Bentley’s tribunal settling for £750k or so, is our ‘bargaining hunting’ paying off? Does the scouting team always get it right? V strange. Not so much the appointment, more that we now have a joint number 2…smells wiffy to me. I’ll look at the official notice as to the rational on the train home. I was watching the warm up before the Birmingham match a couple of weeks ago, and the players were doing a drill, passing the ball to Richard O’Kelly, who was laying it off for them to strike at the goal. His return passes were woeful, Hogan had to take a ball behind him before getting it under control to strike. Maybe he’s better on the ball the O’Kelly! As for Norwich, the Bees tempo was too slow, and heads dropped after the first goal. Hogan had a fantastic chance at 2-0 down which may have changed the complexion of the game. Clearly the midfield isn’t strong enough, and that quick passing / movement we used to do isn’t happening any more. MacLeod was a big loss for us, as is Macca in my opinion…he adds that grit, steel and drive forward we badly miss, along with his encouragement of the players around him. Why KK can’t get a look in at the moment I really don’t know…has to be worth a try. Typical Pritchard ran the show on Sat. I said to my old man two seasons ago when he ran rings around the Bournemouth defence like a Matador, “I think he’s a fantastic player for us…I’d hate to play against him as he winds everyone up!”. Harlee getting caught up in a shouting match with the fans after was silly. I didn’t notice if he was geeing up his players during the match, if he wasn’t he should have been. And he probably should have apologised to the fans after and promise on behalf of the team to make amends against Burton. Rob, I see the system like what happens in Ice Hockey (at least that’s the system I would like!) In that there is a head coach who oversees everything, chooses personnel and sets style/tactics, then a number of assistant coaches who take various aspects of training. I’d love us to have a defensive coach, attacking coach, etc who work with groups of players exclusively before Smith then trains with everyone together.